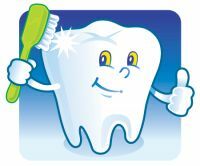 Thanks for visiting the Dental Blog ! In the dental blog, we give you an insight into the fast acting world of dentistry. Here, you will not only find stories on the different dental choices to make, you will also find interesting news stories and tips on what "hot" choices are out there within dental care and dental plans. 1. Dr. Dean Brandon - Dentist in Alabama. Interview with blogger and pediatric dentist Dr. Dean Brandon. 2. Dr. John Gammachia - Florida General Dentist - Dr. Gammachia has a very well visted blog as well - and runs a clinic together with his father in Florida. 1. Dental hygiene tips and tricks ; what is the latest development for you to take care of your teeth the best possible way ? 2. Within dental veeners and dental surgery ; what is important to consider before making the important choices ? 3. Dental insurance ; what are the choices out there, what to be aware. 4. Dental stories and cool things from the dentistry world. ......and a whole lot more here in the dental blog. The articles of the dental blog right below. Enjoy. And, if you have any questions or additions on the way, do not hesitate to contact us. Root Canal Insurance - What Affects the Cost and What are the Options ? Continue reading "Insurance for Root Canals - Costs and Options"
Physicians mutual dental plan is a true insurance plan. Learn how you really do get the coverage you’re expecting. Continue reading "Physicians Mutual Dental Insurance - The Real Benefits"
Continue reading "Dental Plans for Seniors on Medicare - What to Look for"
Is making medical negligence claims on your mind following a substandard or botched medical or dental procedure? Continue reading "Medical Negligence Claims - What to Do In Case of Medical or Dental Malpractice"
Cigna’s preferred dental plans, the Preferred Network Access discount plans, are some of the popular discount plans making their rounds in the market. Cigna is a well-known dental insurance provider. Continue reading "Preferred Dental Plans From Cigna Dental Insurance"
Careington Dental Plan – Need Careington Dental Care? Get It Here! Continue reading "Careington Dental Plan – Need Careington Dental Care? Get It Here!" A dental lab technician is a dental professional who’s in charge of creating the prosthetics and other dental materials used by dentists for dental treatments. Some of their responsibilities are dentures, crowns, bridges, artificial teeth for implants, and so on. Continue reading "Dental Lab Technician What Every Dental Lab Professional Needs"
Tooth Replacement Options - Which Dental Procedure for You? Tooth replacement is a difficult thing to deal with. No one wants to be faced with the need to replace a tooth. Losing our permanent teeth can be a serious blow to our self-confidence. But thanks to dental care technology, there are at least three guaranteed options that can help solve the problem. Continue reading "Tooth Replacement Options - Which Dental Procedure for You?" Dental nurse training is conducted through formal academic and clinical training in order to familiarize prospective nurses with the clinical setting and educate them on their tasks in both theoretical and practical terms. Continue reading "Dental Nurse Training and Responsibilities The Making of Dental Nurses"
Dental scaling are two common cleaning procedures for the teeth and gums. This is considered as a form of periodontal therapy. This is because this form of cleaning is very thorough and cleans, not just the tooth, but also along the gum line where a lot of food debris and other residue tend to get stuck. Continue reading "Dental Scaling Thorough Cleansing for Teeth and Gums"